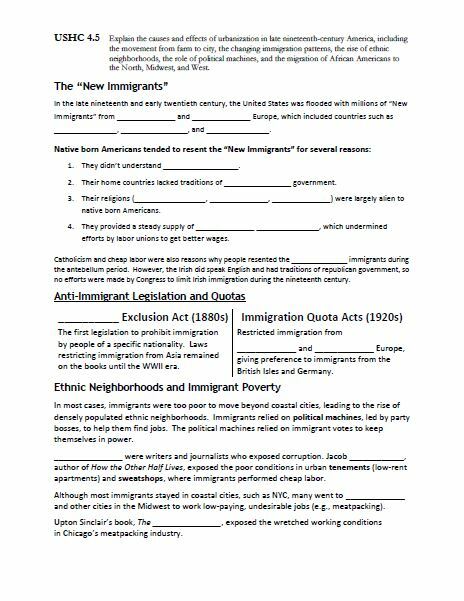 Standard 4 of the US History EOC addresses the industrialization of America and Americans' responses to it during the Gilded Age and Progressive Era. Topics covered include industrialization, the rise of big business, labor unions, populism, new immigrants, and Progressive reforms. The PowerPoints, YouTube videos, and handouts below address each of these topics. 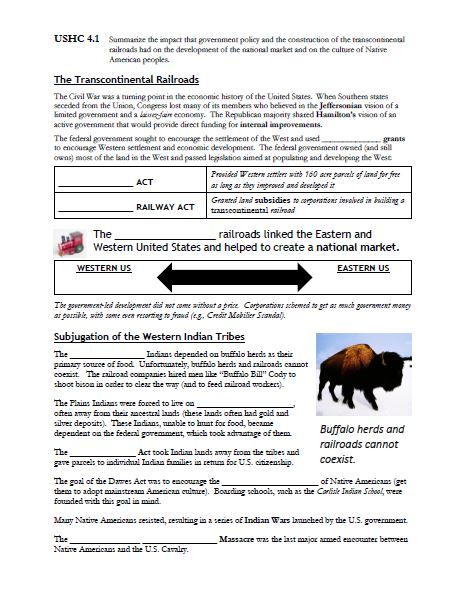 Summarize the impact that government policy and the construction of the transcontinental railroads had on the development of the national market and on the culture of Native American peoples. A video lecture reviewing this indicator will be posted here when it becomes available.